Bluehost and Rochen are very different. Read more to see who has better pricing, design, Joomla management, performance, and technical support. Bluehost and Rochen are different companies in terms of their business model, prices, control panel design, Joomla management, performance, and technical support. 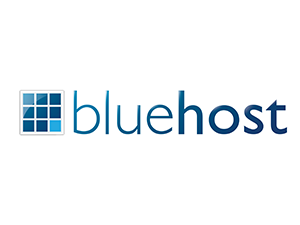 Bluehost has been around for a long time, they have a ton of customers and they are known for their affordability. Rochen has been around for a long time, they have fewer customers, and they are known for their premium services. 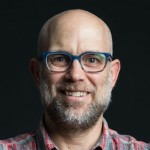 Bluehost was founded in 1996, they are located in Provo, Utah; and they have over 200 employees. They host over 3.5 million domains and have over 2 million customers. Their datacenter is located in Provo, Utah. Bluehost is a favorite for affordable, high quality web hosting. Rochen was founded in 2000, they are located in Dundee, UK; and they have over 200 employees. I don't have numbers on how many domains they host or customers they have. Their datacenter is located in Dallas, Texas. Rochen is known for their premium hosting, but some criticized their customer support. Bluehost and Rochen markets and prices their plans differently. Bluehost markets to all types of website owners with a one-size-fits-all plan along with scalability while keeping the price low. Rochen markets to small to large businesses with premium services which are scalable but come at a higher price. Professional Web Hosting $6.95/Month for unlimited storage, bandwidth, domains, unlimited email accounts. Entry VPS - $29.99/Month for 30GB storage, 1TB bandwidth, 1 domain name, and dedicated IP. Top VPS - $119.99/Month for 240GB storage, 4TB bandwidth, 1 domain name, 2 dedicated IP's. Entry Dedicated hosting - $149.99/Month for 500GB storage, 5TB bandwidth, 1 domain name, 3 dedicated IP's. Top Dedicated hosting - $249.99/Month for 1GB storage, 15TB bandwidth, 1 domain name, 5 dedicated IP's. Plan 1 - $149.95/Mo. for 30GB RAID10 storage, 1GB RAM, 400GB bandwidth, cPanel. Scale - Every extra 1GB storage is $10/Mo., 1GB bandwidth is $0.50/Mo., 128MB is $10/Mo. Entry level - $399.95/Mo. Plus $99.95 setup fee. 4GB RAM, Quad Core Processor, 500GB RAID1 storage (plus backup). Bluehost and Rochen both use cPanel as there main control panel. Lots of hosts use cPanel which is great because if you move from another cPanel host, you will already know how to use it. Bluehost's cPanel has a more updated design than Rochen's cPanel. Using Bluehost's cPanel is great. It's custom designed to match the look of the rest of Bluehost's website. They have a main menu at the top that helps you navigate to the most important areas. These areas include Server, Email, Website, FTP, Databases, and Manage IP's. You can manage multiple sites under one account, but it's not as easy as it could be. Host's like Site5 will give you a multisite administrator tool which separates each site into it's own control panel. Rochen's cPanel is not custom designed and has the original look that comes default. There does not appear to be an easy way to navigate through the top areas of interest like there is at Bluehost. As for multiple site management, you will run into the same issue as Bluehost. All websites are hosted within one account. Bluehost has two options that help you install and manage Joomla including SimpleScripts and using the manual method. At Rochen you can use their unique Joomla tool called Joomla Utilities or use the manual method to install and manage Joomla. Using Bluehost to install Joomla is very easy. SimpleScripts is the fastest way. You don't get as much control as you do using the manual method, but it's fast and easy. I prefer using the manual method because you get more control. You can pick your database prefixes and names. To install you use MySQL Databases to create the databases and the File Manager to move the files into place. Managing Joomla is very easy with Bluehost. Using FTP to access files is simple and navigating the backend of Joomla is responsive. Using Rochen's Joomla Utilities is a great way to install and manage Joomla. You can also use it to migrate sites from other hosts and perform upgrades. Even though Joomla Utilities is grew, I still prefer installing Joomla using the manual method. You get access to FTP and navigating the backend of Joomla is fast and responsive. I have been monitoring Bluehost for several weeks now and have data to report. I do not currently have data for Rochen. At Bluehost my test site has a 1.86 seconds average response time in the past two months which is decent. The uptime has been floating at 100% for two months which is very reliable. This data shows that Bluehost may not be the fastest loading site, but they have great reliability. That being said, no host can maintain 100% uptime and I expect this number to drop closer to 99.7%. Check back in the future for more info. Bluehost and Rochen approach technical support differently. My experience is that Bluehost has much friendlier technicians and they are easier to get a hold of. Rochen's support system is limited and can take some work to solve issues. You can get instant help when you contact Bluehost. They are available 24/7 via phone, live chat and ticket system. Talking to the a technician on the phone is the best way to get a quick response. They can walk you through most issues in a matter of minutes. There have been times when they stayed on the phone with me for close to thirty minutes. Live chat is a great way to get a hold of Bluehost. I use it a lot because it's easier to troubleshoot online while you have the chat window open. You don't have to write anything down because you can look back on what you talked about. The ticket system is pretty quick. It works well for less crucial topics. In our tests we had to wait twenty seven minutes to get a response. This is very fast. Hosts like GoDaddy can take up to twelve hours. You can only contact Rochen through their ticket system. This can take a while. Since you can only reach Rochen using a slow ticket system, I definitely prefer to use Bluehost's technical support. 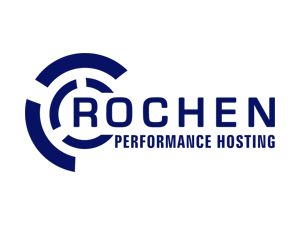 Bluehost outperforms Rochen in a lot of areas. They have cheaper plans, a better designed cPanel, and better technical support. Rochen has a great way to install and manage Joomla using their Joomla Utilities tool, but thats all I like about them.